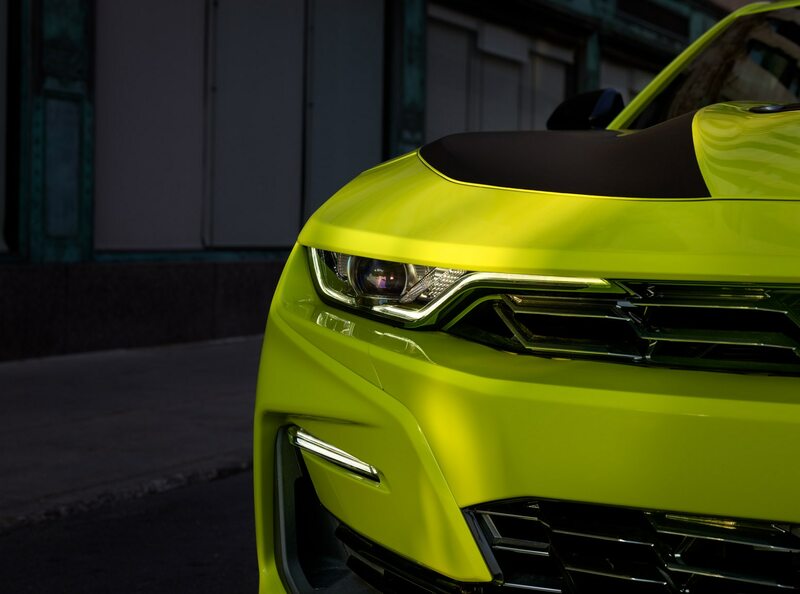 Hello, Shock Yellow! 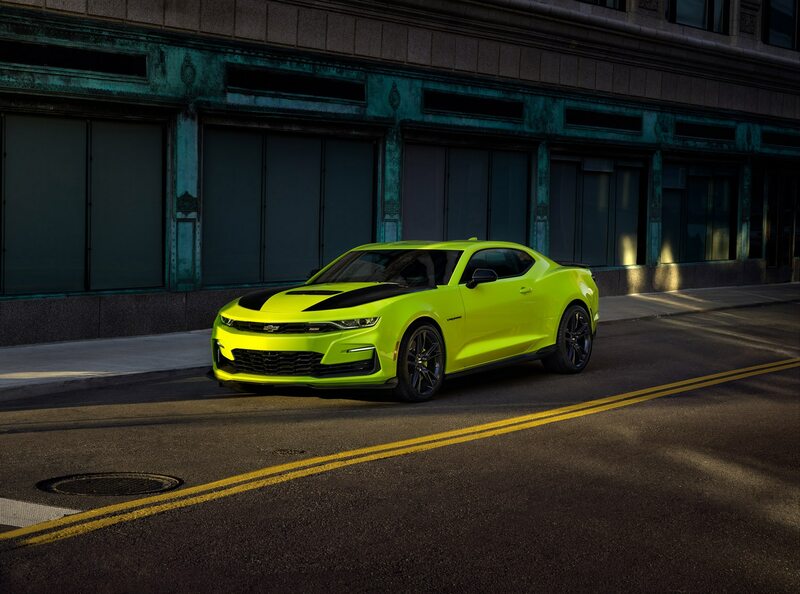 The 2019 Chevrolet Camaro SS gets a new shade of neon paint for this year’s SEMA show in Las Vegas, Nevada at the end of the month. Chevy says the new flavor will be available in early 2019 along with Crush, Riverside Blue Metallic, Shadow Gray Metallic, and Satin Steel Gray Metallic. 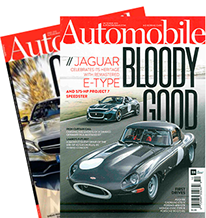 “There’s a fresh look for the 2019 Camaro, which is restyled, reinvigorated and offers more choices and new technologies,” said Steve Majoros, Chevrolet marketing director in a statement. 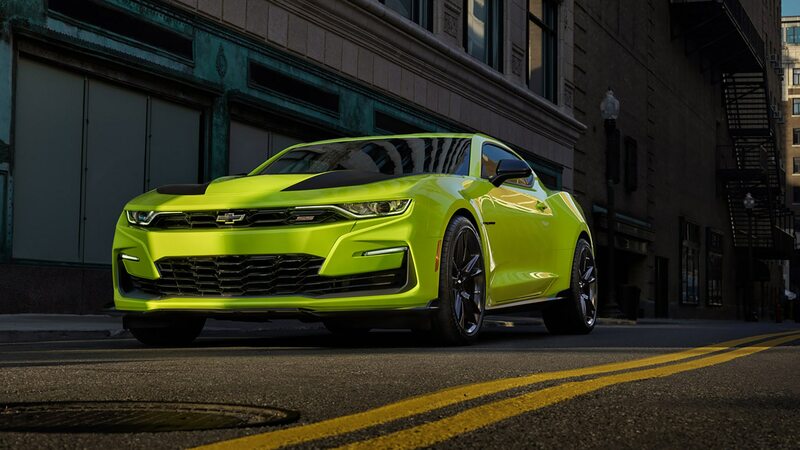 Aside from the new color options, other accessories for the Camaro includes second-generation ground effects, a black wing spoiler, carbon-fiber fuel door, black fender badges, 50-state-legal cold-air induction kits, Recaro seats, Brembo six-piston front brake upgrade kit, and 1LE suspension components. Chevy says the performance bits are available online or via dealers and their installation does not void the new-vehicle limited warranty. 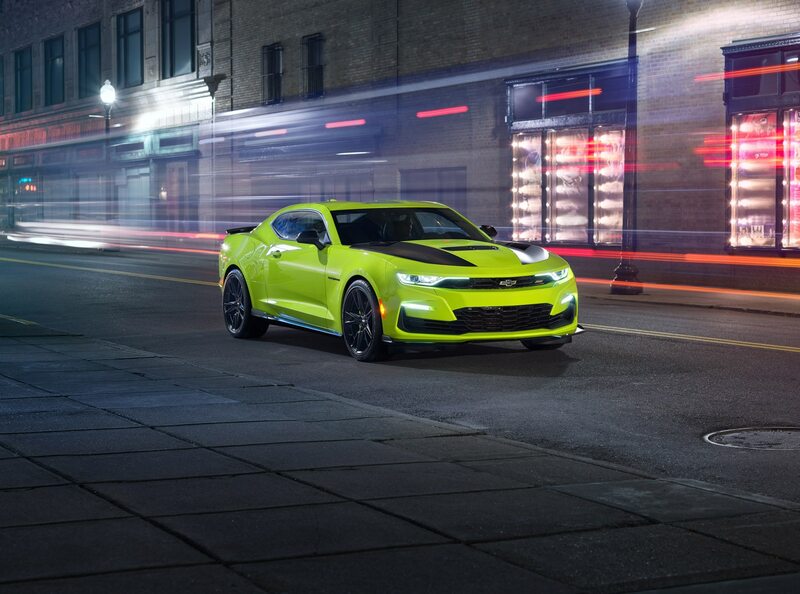 For the 2018 trade show, the Camaro SS Shock Yellow show car also sports concept front-end styling, a relocated bow tie, and slick fender graphics. 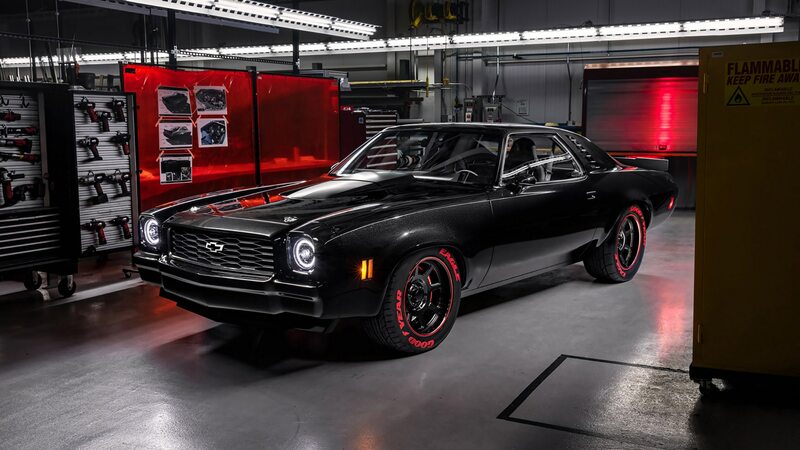 A Camaro LT convertible in Satin Steel Gray Metallic along with over a dozen vehicle concepts will join the Shock Camaro as well as the latest batch of crate engines for vintage Chevys like the black 1973 Chevelle Laguna seen below. SEMA runs from October 30 to November 2 at the Las Vegas Convention Center.